From the opulent Gucci Boule jewellery collection, this delicate necklace is a beautifully versatile option for any occasion. 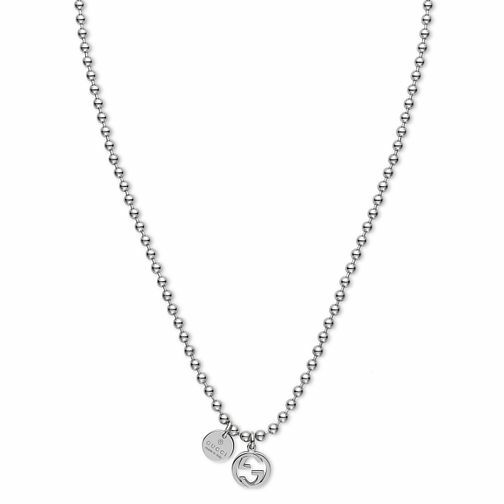 Crafted in sterling silver and featuring dainty GG symbol and Gucci tag charms, this eye catching accessory is perfect worn alone or stacked with other chains. Gucci Boule sterling silver GG necklace is rated 5.0 out of 5 by 1. Rated 5 out of 5 by Anonymous from Perfect Love my Gucci necklace, perfect description, delivered on time.